About 8000 cadets and students study at Odesa National Maritime Academy (ONMA). The annual graduation is about 1000 specialists. The Academy was accredited by the State Accreditation Board of Ukraine with accreditation level IV (the highest). The specialities of automation, ships' engineering, electromechanical and radio-electronic faculties were accredited by the Institute of Marine Engineering, Science and Technology of Great Britain (IMarEST) with the "charter engineer", - the highest level, and the faculty of Navigation was accredited by the Nautical Institute of Great Britain (NI). The studies are carried out according to the graded system. The terms of studies are the following: four years for bachelor, five and a half years for specialist and master. The system of ship's crew training is in compliance with the requirements of the International Convention of Training, Certification and Watchkeeping for Seafarers (STCW -78/ 95) and other international conventions which give graduates the right to work on all types of vessels of native and foreign companies. ONMA comprises eight faculties, Azov Maritime Institute (the city of Mariupol), Izmail faculty, Training and Certifying Centre for Seafarers and Technical Fleet College. 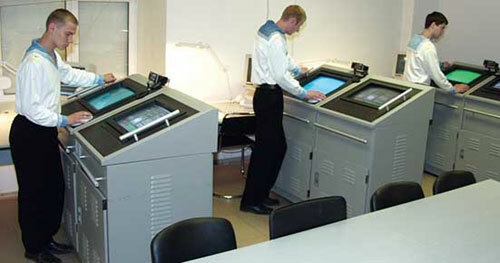 Besides such centres as Survival under Extreme Conditions at Sea, Information Consulting Centre, Maritime Training Centre of Ships' Power Installations, Special Technologies for Ships' Technical Maintenance Arrangement, publishing One-"Issue-Inform", GMDSS Educational & Training centre, Sports and Recreational Centre and the Centre of Medical Examination and Rehabilitation were created. Considerable time of training process is devoted to simulator training in accordance with the STCW-78/95 (Section A-I/12 "Standards that Set out Simulators' Usage" and Section B-I/12 "Guide on Simulators' Usage"). Navigation cadets use different programmes based on complex radar simulators RLS and ARPA of the firms "Norcontrol" (Norway) and "Transas Marine" (Great Britain, Russia). Cadets of engineering specialities study operation and maintenance of ships' power installations on the simulators of "Dieselsim" type of the firm "Norcontrol" (Norway); LSS-2 of the firm "Haven Automation Ltd" (Great Britain) and "Woodward" (the USA). 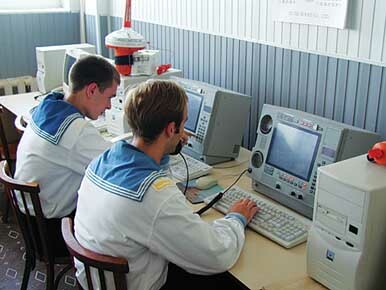 Cadets of radioelectronics and navigation faculties train on the simulators of the Global Maritime Distress and Safety System (GMDSS) "Sailor" of "Transas Marine" firm, "IZUMI 900", on operating ships' radio equipment and also on the simulator of automatic identification system (AIS). 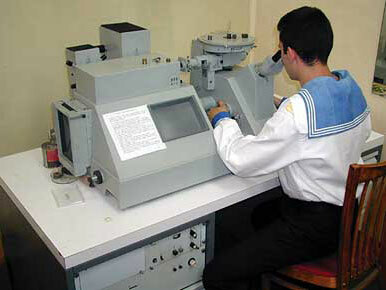 Cadets of junior courses use in their studies operating power installations and navigational equipment of the sailing ship "Druzhba" and the marine tugboat "Engineer Ponomarenko" which is a training ship.